We all know that geometry charts can be deceiving, and when it comes to the full-carbon Remedy 9.9 RSL tested here, they just don't tell the whole story. A 66-degree head angle, 150 millimeters of rear-wheel travel, a 160-millimeter-travel fork and 27.5 hoops all point to a bike with a descending bias, and sure enough the Remedy is no slouch when gravity takes hold. What the numbers don't tell you is that it's also willing to engage in a kind of slapstick playfulness that reminds me of Frank Drebin–the bozo cop played by Leslie Nielsen in the "Naked Gun" series–and his unfailing knack for strolling into his own comedic blunders, only to emerge unscathed and oblivious to the danger he'd been in. The Remedy mixes the clout of a thoroughbred all-mountain machine with the dynamism of a trail bike, instilling a curiosity for new trails and bold lines, and for funky ways to ride the old ones. But there's another side to the Remedy: Flip the Mino chip at the junction of the seatstays and the rocker link, and the chainstays lengthen from 433 millimeters to 435, the head angle slackens from 66 degrees to 65.5, the wheelbase lengthens, the PF92 bottom bracket drops and the reach shrinks. These changes are like a few IPAs and a couple slices of pizza for the Remedy–its steering slows, its enthusiasm for quick movement dissipates and it would prefer a chairlift over an hour in the saddle. The change doesn't look huge on paper, but the whole is greater than the sum of its parts. That's a good thing at the bike park, but the nimble enthusiasm of the 'High' setting is better suited to trail riding. 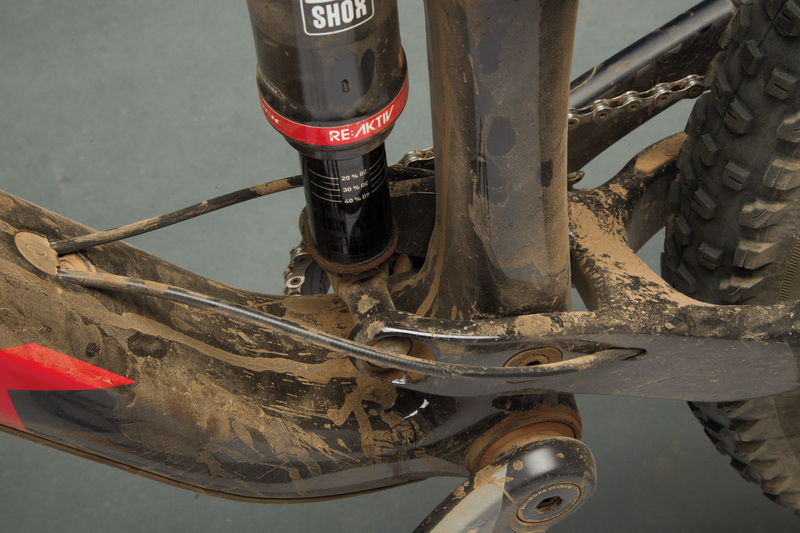 At the heart of the Remedy is a metric-sized RockShox Deluxe RT3 rear shock, which is packed with Trek's RE:aktiv 3-position damper. 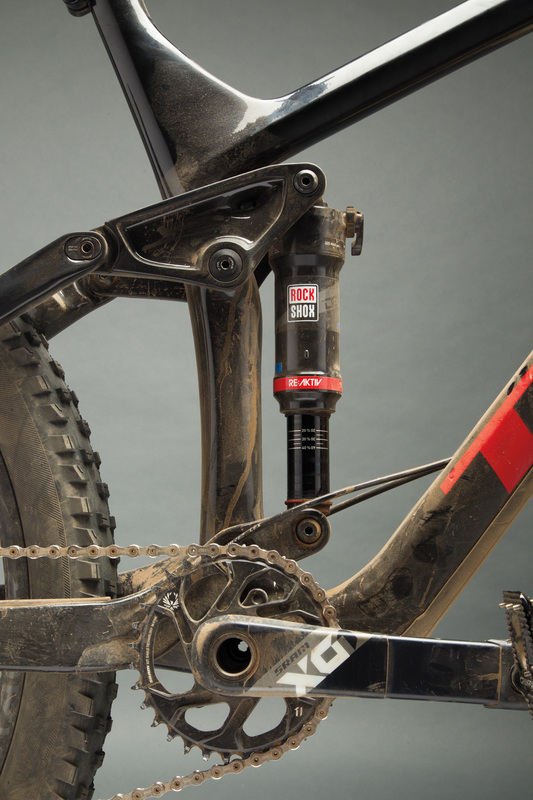 Developed with Penske racing, RE:aktiv is a regressive-valve damper that controls oil flow based on shaft speed, providing a platform in response to the slower compressions caused by pedaling. Oil flows freely as soon as the shaft moves faster, allowing the suspension to soak up chatter or big hits and maintain traction on climbs. 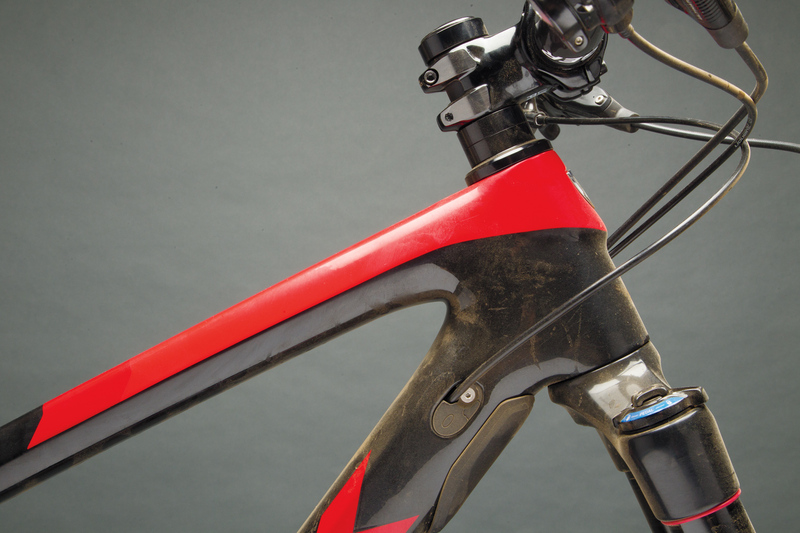 This system is part of what makes the Remedy one of the most enthusiastic bikes in its class when it comes to pedaling and pumping: Not only does the proprietary damper increase efficiency, it makes the Remedy sit up more, improving its agility on buff trails. On downhills, the rear suspension matched the performance of the Lyrik up front, soaking up every kind of rock, root, g-out and landing. There's a lot to talk about with regard to the 9.9 RSL's build kit, but there's only one part that has to be discussed, which is the 12-speed SRAM Eagle drivetrain. Remember what it was like to have a double? There were the chain drops, and the cluttered cockpit, and that metal-on-metal sound that seeped into your dreams, and there was the range, and the extra energy you had throughout your rides because of it. Eagle gives you the latter two by way of the quietest, smoothest drivetrain I've ever ridden. It's a lot of clicks to get from one end of the cassette to the other, though. The Bontrager Line Elite 30 wheels weren't going to get a mention in this review until they shrugged off the hardest rear-wheel case I've performed in the last decade. The impact sent me into an uncontrolled nose manual for 20 or so feet until–perhaps because the wind changed direction–I somehow wound up back on two wheels. Much to my disbelief, and to the shock of everyone in the audience, the rear wheel was factory true, the rim was perfect and the spokes were all tensioned. Is the Remedy's Boost 148 spacing and the resulting widened spoke-bracing angle to thank? We may never know. For $8,000, the 9.9 RSL should be a perfect build, and it nearly is. Bontrager's new Drop Line post performed well–though its remote is slippery–and Trek says it comes in a 150-mil-drop flavor. But that flavor was notably absent from this Remedy, which comes with a 125-mil post. The Remedy 29 was a great bike, so much so that it always overshadowed its little brother. The 27.5-wheeled Remedy isn't so little anymore, though, and with the Remedy 29 out of the lineup for 2017, it's high time for the little-wheeled version to garner some attention. It certainly deserves it.